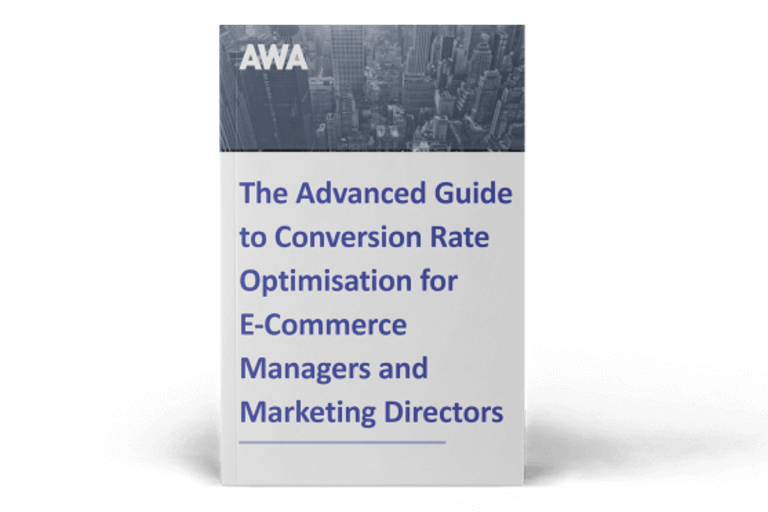 If you’ve read any of our past blog posts or viewed our Periodic Table of CRO Success Factors, you’ll know that we approach Conversion Rate Optimisation (CRO) as a scientific process. 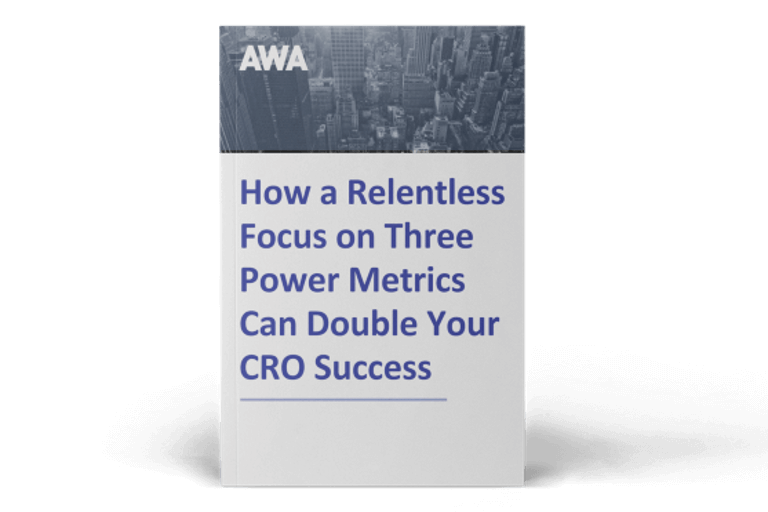 With so many variables, using anything less than a data-driven, research-based approach can see even the best CRO efforts run into difficulty. Much like a scientist would never dream of setting foot in a laboratory without the proper protective gear and apparatus, you need to ensure you’re thoroughly equipped with the right CRO tools and methodologies. Over the course of the following few weeks, we’ll discuss the tools and techniques that are essential to your CRO ‘toolkit’. 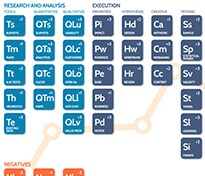 To kick-off our series, we’ll discuss the five elements in our periodic table that will help you to build a solid foundation for the rest of your CRO programme. The most successful CRO strategies begin with qualitative and quantitative research. To gather the most useful data, you have to equip yourself with the correct CRO tools. The end goal of any CRO programme is to encourage and facilitate an increase in sales, by way of improving your visitors’ experience on your website. To identify what needs to be tweaked on your site to do this, you need to use the right tools to conduct thorough research and analysis of how people navigate your site. Without a bank of data, your CRO strategy is essentially built on guesswork – a flimsy foundation if ever there was one. If you take a look at our infographic, you’ll see we’ve listed the five CRO tools and techniques you need to implement in the first phase of your CRO process. These are: Surveys (Ts), Maps (Tm), A/B Tests (Tt), Heuristics (Th) and Existing Data (Te). Survey tools are crucial as they enable you to analyse the all-important end user’s experience – a critical action which will contribute to the development of insightful hypotheses for you to test. These fall into two major groups: on-site polls and email surveys. On-site surveys or polls range from on-page pop-ups with to longer questionnaires presented to visitors as they leave the site. While on-site surveys are useful for gathering information about specific visitor behaviour or conversion ‘roadblocks’, email surveys enable you to gather in-depth attitudinal and demographic data from existing and potential customers alike. Both types of surveys can be run using tools like Qualaroo for on-site pools, and Client Heartbeat for email surveys. As with all other CRO tools, the types of maps that are most beneficial to your CRO efforts will be determined by your unique CRO and goals and challenges. Some heatmapping tools allow you to segment your view of what visitors clicked on depending on whether they are new or returning visitors, come from paid or organic search or by location. A/B testing measures one variation against the control, and how this affects conversion. Typically, half of your visitors will see your original (the Control or Version A), for example, while the other 50% will see a variation (the ‘Challenger’ or Version B) of it. While A/B or split test platforms are traditionally used in the Execution phase of your CRO process, they’re also useful in the beginning stages to run exclusion tests. An exclusion or ‘investigative’ test is performed when one feature, such as ‘Free shipping’ or ‘Claim your discount code’ is removed, and then tested to determine what, if any, effect this has on your conversion rate and/or revenue. There are several platforms you can use to run A/B tests, including VWO, Optimizely and Qubit. Heuristic testing entails the evaluation of a site by a group of experienced optimisers, using a predetermined evaluative framework. While often misunderstood, heuristics can be an extremely useful CRO tool, as it gives you access to insight from experienced optimisers who’re well-versed in the nuts and bolts of website optimization. It’s worth noting that the use of heuristics in CRO is often criticised as it can tend towards a subjective opinion, as opposed to hard facts. Chances are, you already have a veritable gold mine of data, such as customer or market research reports, gathering dust on some shelf. We’ve included this CRO tool in our periodic table as tapping into previously gathered data can be incredibly beneficial in the initial stage of your CRO process. As well as previous research, carefully examine anything from complaints forms, live chat scripts or focus group debriefs that could contain valuable insights. If you think you need expert help to use these tools, download our ebook below for 8 questions you must ask to find, hire and get great results from CRO professionals.